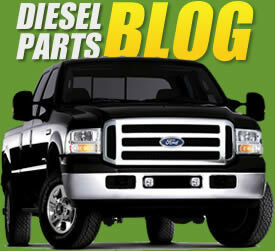 Our diesel parts blog is your source to get all the insightful info on all things diesel... please ask you performance and diesel questions. Your Official Blog source of information on the engine manufactured for Ford by International. Includes a parts manual, warranty information, and photos. TamerX Offers a full line of high pressure oil pumps and all the other items used in association with the high pressure oil pump. This includeds gaskets,IPR Valves,misc Oring Kits, STC repair kits, Stand Pipes. High Pressure Rail Ball Tube Kits. TamerX offers a Revelation repair option for the Ford Powerstroke 6.0L Diesel and the Navistar International VT365. When your lube pump loses the ability to build pressure because of damage in the front engine cover and Gerotor pump. TamerX has the solution. Running your Ford Powerstroke 6.0L diesel engine at correct oil pressure levels is critical to ensure efficient operation and to prevent damage to many of its components, including the high-pressure oil pump and diesel fuel injectors. The OEM oil pressure gauge on these trucks actually functions as a switch rather than as a gauge. The oil pressure reading is inaccurate at best. There is also a warning light that denotes low oil pressure, but will not engage until the gauge shows less than 7 PSI of oil pressure. This makes other methods of checking oil pressure on your truck essential. Over time, a variety of factors can contribute to degradation or damage to the lube pump (Sometimes also referred to as a low-pressure oil pump) front engine cover, and Gerotor pump, thus reducing the level of oil pressure that the pump is able to produce. This is a problem that can create a chain reaction or domino effect of other performance issues and part failures. In addition to providing lubrication to the engine itself, the lube pump is also responsible for supplying oil to the high-pressure oil pump, which in turn supplies the IPR (Injection Pressure Regulator) valve, which drives the diesel fuel injectors. Any of these parts can sustain damage or suffer from decreased operating efficiency if the amount of oil supplied to them by the lube pump is insufficient. TamerX Diesel Products has created and patented the perfect time-saving repair option to resolve all these issues and improve your overall engine performance. Our oil pump repair kit (Part# TX-EOP60K) is stronger and more durable than the original equipment, will restore engine oil pressure, and reduces the labor time of the repair by approximately 7 hours. It is a complete kit made in USA and is perfect for do it yourselfers. In terms of overall price, our lube pump repair kit is comparable to the purchase of a new OEM front engine cover, Gerotor pump, billet cover plate, and crank seal. The real savings come in the form of the increased strength and durability of the parts and the significantly reduced labor time for the repairs. The TamerX High Pressure Oil Pump come ready to install with the IPR valve and updated STC fitting. The TamerX High Pressure Oil pump is remanufactured to the latiest OEM specs. Each pump ius calibrated on a state of the art OE level test cell. This pump comes with all seal and gaskets need to complete the installation. This a completely re-manufactured High Pressure Oil Pump. All components are cleaned inspected reworked or replaced. This pump is assembled using the highest quality Viton orings. This is a complete gasket kit for the High Pressure oil pump on a Ford Powerstroke or VT365 Navistar produced after 9/2003. This kit is for the cast iron style High pressure Oil pump. This kit is highly recommended if the STC Connector hasn't been updated to the new style. The Original Style STC connector on the Power Stroke 6.0L is a know failure point. If you are working on your truck and see that you have the old style connector this is the kit you would need update your connector. The kit has all the parts need to align the connector in the correct location. This IPR Valve comes with all seal and gaskets need to complete the installation. This a completely new and Manufactured to the Highest OEM Specs. This IPR Valve comes with all seal and gaskets need to complete the installation. This a completely re-manufactured to the Highest OEM Specs. All components are cleaned inspected reworked or replaced. This IPR Valve is assembled using the highest quality Viton orings. This is a repair kit for the high pressure Oil rail on the Ford or Navistar. This is an exact copy of the origional ball Tube. The seals are upgraded to a Viton material for improverd service life. The ball tube need to be replaced every time the fuel injectors are replaced. This will improve the service life of the injectors. This kit will service one cylinder head. All manufacturer names and logos are used solely for identification purposes only.